Gone are the days when luxury hotels appear snobbish. Previously, we feel like five star accommodations are welcoming only to their guests. If you can't afford it, there wouldn't be any relationship at all. But New World Makati Hotel reshapes the landscape of hospitality. 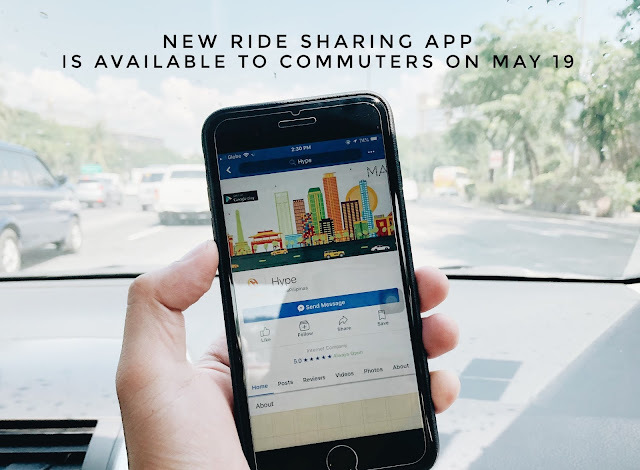 Even if you're not a guest, you can still interact with them with the launch of their new Facebook apps (you can click on the hyperlinks to be routed directly) In Touch and I Heart New World. 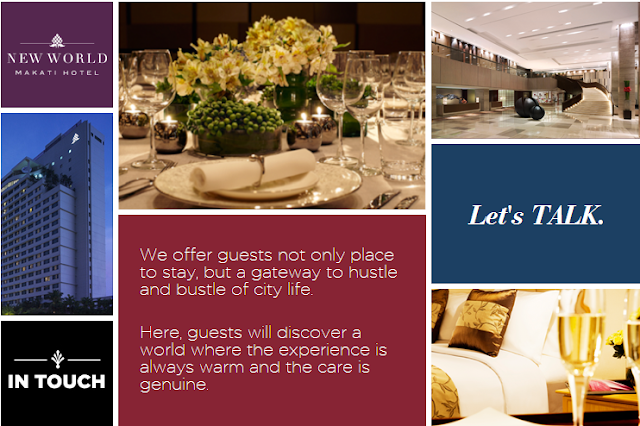 New World Makati Hotel is ready to make friends with everyone. So ready in fact that even the top executives of one of central Makati's most exclusive business hotels are ready to answer your questions anytime. According to Nini Icban, New World's Director of Communications, everyone is invited to send messages, inquiries, and other concerns to various areas of the hotel. As mentioned on the app's opening page, they're trying to offer an "experience that is always warm" and a care that is "genuine." Apart from the bubbly Nini Icban, ready to answer your questions on the app are the hotel's General Manager Farid Schoucair, Director for Talent Acquisition Geuel Auste, Hotel Services Head Eddy Sarton, Food and Beverages Head Paawan Engineer, Head for Sales and Marketing Jann Delgado and Joy Barleta of Rooms Operation. New World is also looking on making bookings and reservations easier online. 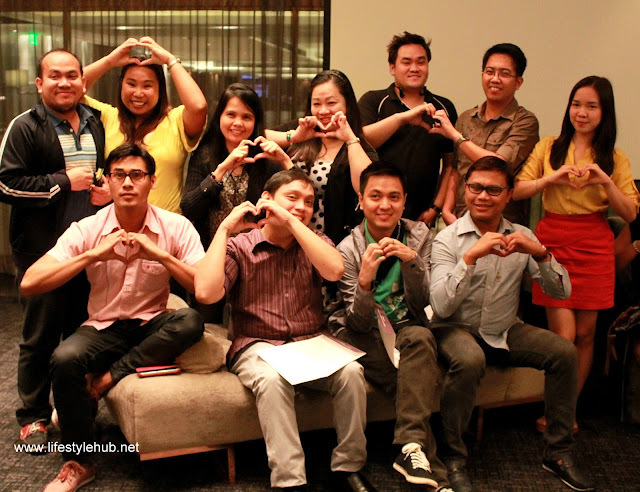 Aside from In Touch, the I Heart New World app was also launched on the same event last Tuesday, July 16. 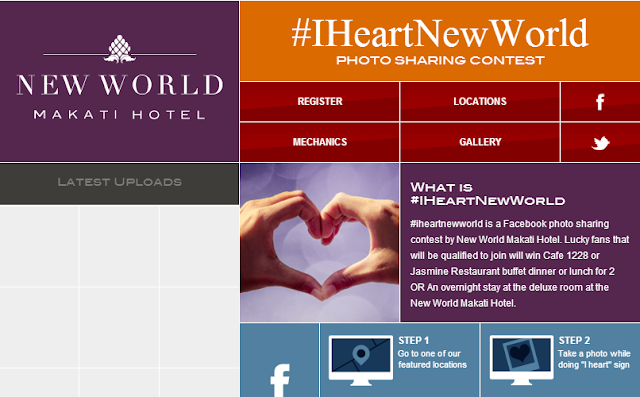 #IHeartNewWorld is an Instagram photo sharing contest wherein anyone can submit a photo of their self doing the I Heart New World hand sign for a chance to win a buffet dinner for two at the hotel's exquisite dining establishments: Cafe 1228 or Jasmine Restaurant. Participants could also win an overnight stay at a deluxe room. 4. View your photo on the gallery and share the photo to your friends by posting it on your own Facebook wall. Indeed, New World Makati Hotel is extending successfully its impeccable customer service from the hotel to online. And we can welcome that with both arms shaped in heart. Are you ready to spread the love and win amazing prizes from New World Makati Hotel? Like them on Facebook now (click here to be routed) and have fun on the apps! 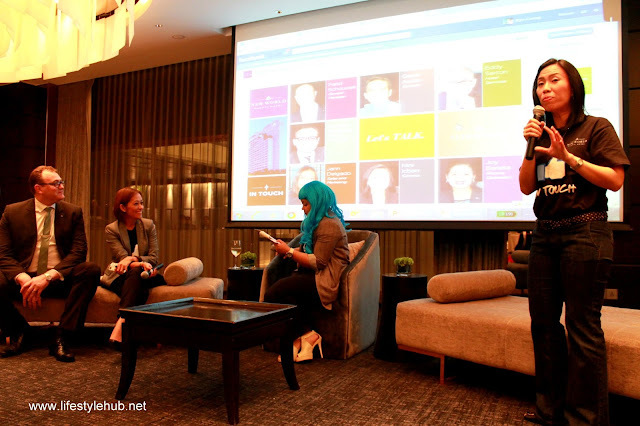 of Communications Nini Icban proudly introduce their new Facebook apps.